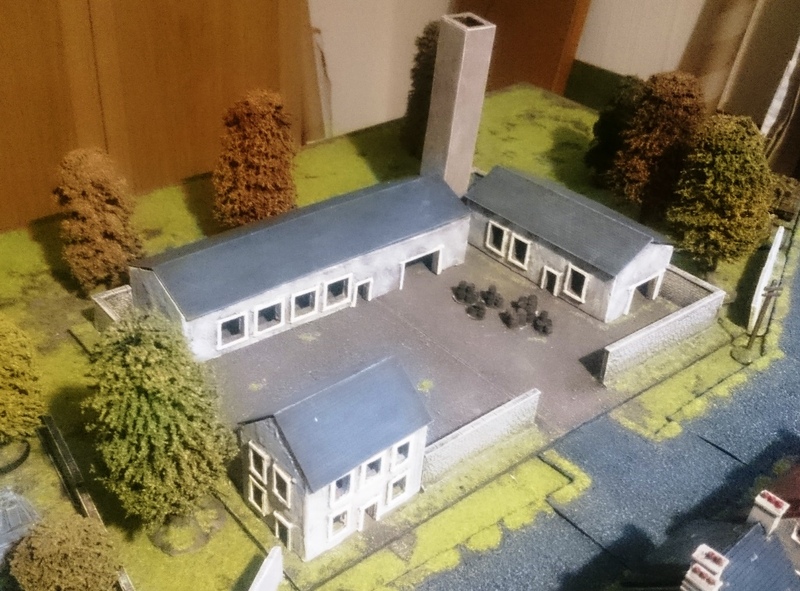 Over the past few weeks, Dave Luff and I have been scratch-building scenery for our “Kenneth’s Heroes” game for Operation Market Larden, which is being held next weekend (10th June). We’ve pretty much finished all the scenery, so this evening was spent putting the board together in a dry run for the game. First off is the Brewery, which has been built from foamcore, plasticard, MDF and embossed plastic walls from Plast Craft Games. The Churchyard has been made from foamcore, MDF and some embossed plastic walls from Plast Craft Games. The Gravestones are from Magister Militum. Ah very nice. It looks good. Really nice looking table. Just need to turn your hand to painting figures now Neil?